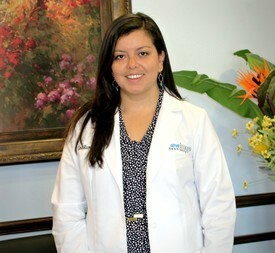 Dr. Lina Ramirez was born in Bogota, Colombia and was raised in Miami, Florida. She attended and received her Bachelors Degree at the University of Miami and received her Dental Degree from the University of Florida. Dr. Ramirez speaks Spanish fluently. She has a younger brother, who is an OB/GYN medical doctor and an older brother, who is an engineer. She enjoys hiking, relaxing at the beach, playing volleyball, and spending time with her family. Dr. Ramirez enjoys getting to know her patients and improving their dental health. She gains satisfaction from providing the best care for her patients and knowing she has made a difference in their lives. She is excited to be a part of the New Image Dentistry team and looks forward to expanding her knowledge in dentistry throughout her career.